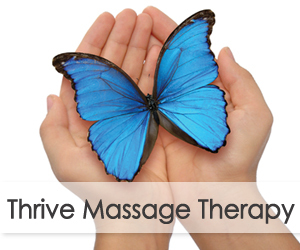 Your session will focus on Wellness, Relaxation, and Pain Relief and will draw from a variety of therapies depending on your needs. Neuromuscular Therapy is a system of specific tissue manipulation that balances the musculo-skeletal and nervous systems. It addresses chronic pain patterns, stress and postural distortions that debilitate and greatly reduce the quality of our lives. Sessions include in-depth postural analysis in order to understand the underlying causes of pain and discomfort and development of a treatment plan tailored to the client’s specific needs. Therapeutic Movement Therapy draws on the work and principals of Feldenkrais and provides specific movement protocols that teach clients to consciously run neuro pathways that gently correct postural imbalances that result in pain patterns. This work is the missing piece in most massage and bodywork and can be very helpful in recovering from injury, frozen shoulder, repetitive motion strain and back, knee and shoulder surgeries. Energy Dynamics of the Psyche works to gently release emotional and mental holding patterns and to balance the Energy System of the Body. Postural patterns stem not only from physical causes but are a reflection of our mental and emotional programming. By raising awareness of the mind-body connection through gentle touch this work can bring about an enhanced awareness of self and a greater sense of freedom and well-being.